After a hearty lunch at Yehliu, our day 2 trip continued with pears picking at Xiang Ye Orchard (乡野观光果园), a stopover at Hsitou Monster Village (溪头怪物村) and lodging for the night at Sun Link Sea Resort. And since it takes some traveling time from Yehliu to the first destination most of us on board began to take a short nap in order to refresh ourselves. One of the benefits of joining tour group is just like what my mum always said; we do not need to worry about the our 3 meals, transport and lodging. We can ease our mind, relax and enjoy the scenery along the way, get to try most of their tourists’ recommended food and stay in at least a 4 stars hotel. After about an hour plus of coach ride, we reached our first destination at Xiang Ye Orchard. Although it was drizzling but it did not effect our mood and everyone was still full of excitement to explore the orchard as well as the pear picking. Day 2 of our Taiwan trip features places like Jiufen Old Street (九份老街), Yehliu Geopark (野柳地质公园) and Hsitou Monster Village (溪头怪物村) where we sit back and enjoyed the coach rides that bought us around the attractions. And moreover going with familiar group of tour mates (almost the same group of people from our previous Taiwan trip) and guide also makes planning of the itinerary much easier during the whole road trip. I always wanted to try making this type of streusel muffins which I often come across in cafes like Starbucks, Paris Baguette and etc which cost around SG$4 each. And what attracts me most is that top layer of golden crispy buttery streusel topping which contrast well with the soft and moist exterior of the cake. 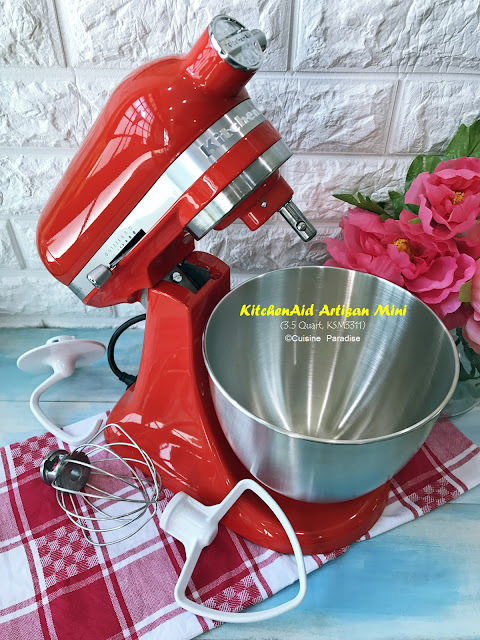 Moreover homemade muffins actually does not require much effort and time if you have all the ingredients ready in your pantry as what you have to do is just stir, mix and bake. So why not join us to bake a tray of this Blueberry Lemon Streusel Muffins for afternoon tea or breakfast which I bet you will love it just as much as we do. For this recipe is quite similar to the previous one that I did for the Chocolate Chip Muffins but instead I replace about half of the plain flour with organic wholemeal flour for a healthier version (if you could replace with all wholemeal flour will be better). On top of that if you prefer a stronger lemon fragrant, you can also add in 1 whole lemon zest instead of ½ into the cake batter. Festive season is always a great time to catch up with some old friends whom we seldom get a chance to meet during the year. So last week I managed to meet up with one of my girlfriend who work around Marina Bay Financial Centre area and we had a great lunch over at Erwin’s Gastrobar which is located on the ground level of Marina Bay Link Mall. While sourcing our lunch venue using the Entertainer App, I managed to find a good 1-for-1 deal at Erwin’s Gastrobar which is just a few minutes walk from her office. Christmas is just another 4 days from now and I am sure most of you are busying with the festive bakes such as Christmas Fruit Cake, Fruit Mince Pie, Gingerbread Man, Christmas Stollen and etc to share as gifts for friends or serve them together with the festive feast. Here with our recipe collaboration with Bake King, we have another two Christmas Bake ideas which might comes in handy for your last minutes bake too. Shortbread is one of my favourite cookies to enjoy with a cup of freshly brewed tea and in order to make some good quality of shortbread it is very important to use quality butter and pure vanilla extract to enhance the taste. Furthermore you can have different flavour and texture by adding cocoa powder, espresso powder or lemon zest plus a small amount of cornflour to the all-purpose flour to achieve that melt-in-your-mouth shortbread. Our recent family trip to Taiwan in June (2013) was rather impromptu because when I received the itinerary I was quite hesitate to go. Is like base on what I read through, almost half of the "attractions" mentioned were those that we had already visited during our 1st Taiwan Trip in 2010. But to think about it, going for a long trip with mum's siblings (uncle liang, aunty lily and her husband) whom I am close with since young make it still a good reason for us to revisit those places again with them. So on 13 June 2013, together with twenty over tour mates plus our group of six we begin our journey to Taiwan again. And since this is a round the island trip, we will be visiting towns like Taipei (台北市), Taichung (台中), Nantou (南投), Kaohsiung (高雄), Taitung (台東), Hualien (花莲) and Yilan (宜兰) during the eight days. Adding a handful of chocolate chips to the usual vanilla scented muffin batter always turn them into great tea snack. These moist and fluffy delicious muffins can be eaten either warm or at room temperature together with a glass of cold milk or tea. And beside the chocolate chips filling sometime we also love to sprinkle extra chocolate chips or nuts on top of the batter before sending them into the oven. Belachan Chilli is one of the Asian condiment which can be used on it's own as dipping sauce or add a small amount to flavour dishes like Sambal Belachan Prawn or Fish. For a “lazy bum” like me who always goes for store bought “instant paste or sauce”, a bottle of ready-made belachan chilli in the fridge definitely makes wonder. Below is one of the methods where we used Belachan Chilli to flavour shrimp fried rice. As for the spiciness, you can always adjust by adding or reducing the amount of chilli used. This festive season PrimaDéli’s has added two new items such as Salted Caramel Log Cake and their mouth-watering Chef’s Supreme Pie to their Christmas collection. And with their range of sweet and savoury treats you can pick your all-time favourite log cakes in any shapes and sizes from either standard design to Santa’s or Winter Wonderland Santa’s Cottage that made from chocolate or vanilla sponge. 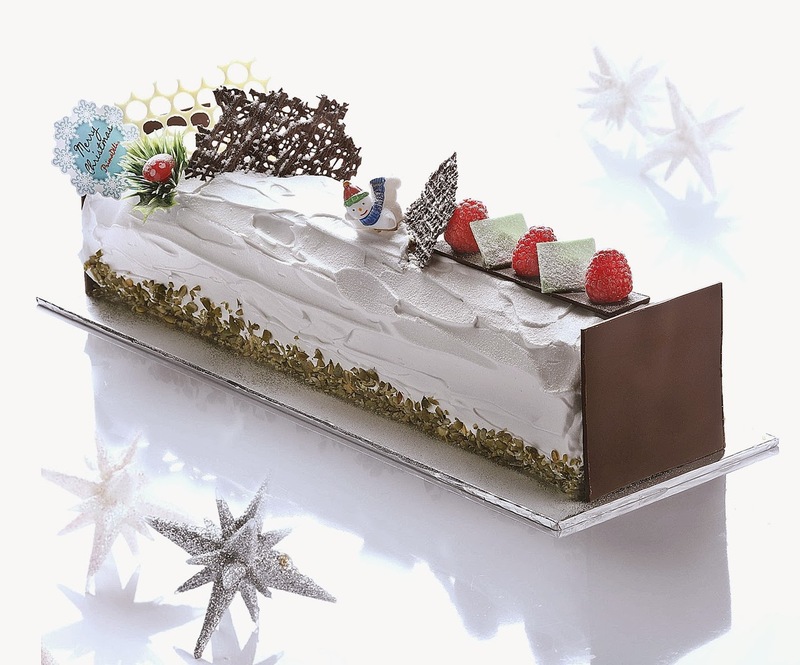 Here I would like to thank PrimaDéli’s for the complimentary Truffle Log Cake (SG$36.90 (standard) / SG$47.90 per kg) and Chef’s Supreme Pie (SG$11.90; 16cm) which brings joy and festive atmosphere to our early Christmas cell group party last week. Above shows their new Salted Caramel Log Cake (SG$36.90 (standard) / SG$47.90 per kg) which is an exquisite creation of layers fluffy vanilla sponge that covered with salted caramel cream and made perfect with an almond spread dotted with crunchy chocolate pearls. Although we didn't managed to sample this but I going to get it for our own Christmas gathering because I am a caramel fans and I am sure it will taste great with the combination ingredients too. I am sure for those who love pound cake there are always one or two safe-keep recipes on hand which you can mix and match for different flavour. For me, Lemon Pound Cake has being my all-time favourite whenever it comes to tea cake but for the post I will be sharing a recipe on Orange Chocolate Pound Cake which is loaded with mini dark chocolate chips. I made these mini loaves as gifts for friends who love both orange and chocolate flavoured cakes during a Tea Party last week. This orange infused cake is soft, moist and fluffy plus it is loaded with generous amount of mini dark chocolate chips inside out. Although most pound cake recipes called for equal amount of butter, sugar and flour in “1 : 1 : 1” ration but for this recipe I reduce the sugar used to 180g instead of 200g due to the chocolate chips which adds sweetness to the cake too. Christmas is just another three weeks down the road and I am sure most of you are busy with the Christmas menu planning. Here with some complimentary cheese that we received from Perfect Italiano, we decided to whip up some dishes from their “Food Fixes in 15 Seconds” festive menu which features tasty and simple dishes that you can learn in just 15 seconds. Using the cheese we prepared a 5 Course Brunch Menu shown above with Cheesy Corn Chowder, Parmesan Toast, Cheese Baked Christmas Casserole, Sausage And Mushroom Baked Rice plus Parmesan Pancakes for dessert. Two weeks ago, I made some Banana And Espresso Walnut Muffins using Nigella Lawson’s Banana Muffin’s recipe whereby I added some extra walnuts and instant espresso coffee powder to enhance the flavour. I always love Nigella’s recipe which is easy to follow and the ingredients used are also easily found in our kitchen pantry. Moreover these muffins are so light and fluffy which makes them a great company for breakfast or afternoon snack together with smoothie or hot beverages. Before visiting Hong Kong I have heard so much about their local food as well as one of their well-known dim sum restaurant; Tim Ho Wan which launched their first outlet in Singapore (Plaza Singaura) last year as well as a second branch at Tao Payoh lately. So when we happened to see their outlet at Hong Kong MTR Station (initially we intended to go to their branch at Sham Shui Po (深水埗) but it's too far out from our schedule as we only have limited time before departure), we decided to take the opportunity to try out some of their items since the queue there is definitely shorter than Singapore. Thanksgiving is a time of the year where everyone in the family to get together to have meal and give grateful for things like family, friends, food and etc. To be frank this is my first year preparing Thanksgiving feast for the family and instead of the usual baked “turkey” I decided to swap with something smaller. So for this year, I prepared Roast Chicken with Cranberry and Macadamia Stuffing together with medley of colourful vegetables. And I also made our all-time favourite Pumpkin Pie with buttery crust for dessert. I am thankful that this feast was able to complete and we had a wonderful Thanksgiving dinner as planned. It was because during the preparation (if you have read about the mishap (here) on my Instagram (@cuisineparadise)) my old build-in oven (12 years) actually fused off while I was preheating it for the bakes. But thanks God with my Samsung microwave convection oven I am still able to prepare the dishes with slight changes or else I won't be able to know what to do. I have shared Part I of my Samsung Smart Oven MC32F606 recipes last week, featuring some of its cooking features to prepare quick meals such as "slim fry" chicken mid-joints, baked pumpkin rice, grilled salmon, etc. And in this Part II recipes post, I will be featuring some sweet treats such as chocolate chips muffins, apple chips and homemade yogurt which utilises the Convection and Auto Fermentation features of the oven. Fruit Cake is a traditional all-time British Christmas cake that is often made with butter, liquor (RUM/Brandy) and lot of dried mixed fruits and assorted nuts. This cake is best to consume a few days to weeks after baking for a better flavour. And if you prefer a strong taste of liquor, you can also bake the cake a few week ahead and brush it with RUM several times and allow the flavour to age before Christmas. Out of all the Christmas bakes, fruit cake is one of my favourite and every year I will baked some for my family and friends as gift. And since Christmas is just less than a month from now, it’s will be a great time to start preparing some fruit cake to enjoy over the festive season. After settled our baggage at the Airport Express In-town Check-in, we walked over to Central Pier to take a shuttle service to The Peak Tram Station. The Peak is known as Hong Kong's most popular attraction with its stunning views, great shopping and dining options which is a must visit attraction during your trip to Hong Kong. Located at 26B Dempsey Road, The Disgruntled Chef is a bar and restaurant which offers European dishes in a cosy environment that is away from the heart of the city. And while browsing through my Entertainer “1-for-1 main course” deals we decided to try their main courses where I called up to make reservation for their weekend brunch. Before sharing our views at Disgruntled Chef, here is a quick run through of what I had mentioned in my previous post at Bedrock Bar And Grill on “How to use the Entertainer App”. This app is FREE to download from your mobile phone (available on iPhone, Android and Blackberry) and there is no charges to utilise their monthly deals too. 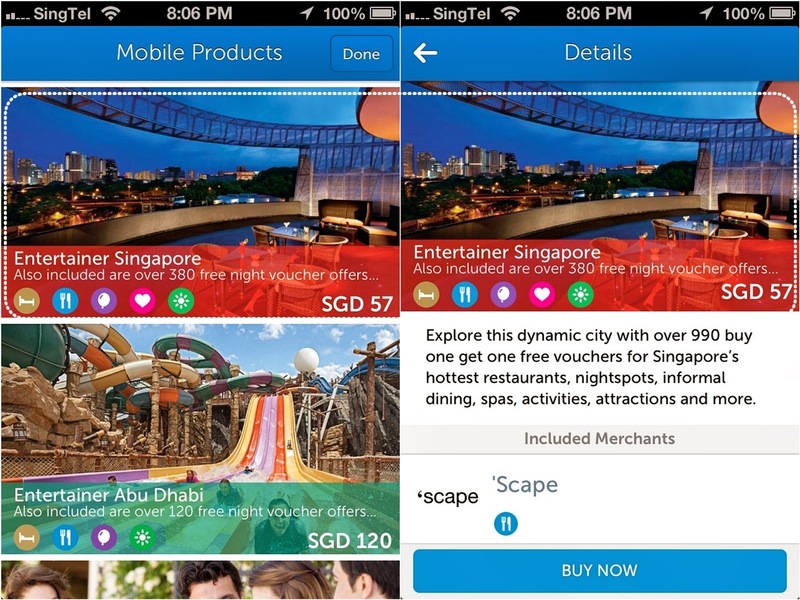 But if you wants to enjoy the full version of the Entertainer App with more than 990 “buy one get one free” offers on food, travel and etc, you can purchase the Full App @ SG$57 (usual price SG$95) for a limited time of 40% offer price. It is always a blessing to be able to enjoy one or two of your favourite childhood food and at the same time passed down its traditional value to the younger generations. Here together with my little one I have made a traditional Steamed Egg Cake aka Ji Dan Gao (鸡蛋糕) which is infused with Pandan (screwpine) flavour instead of the plain one that we normally made. The reason why we made it pandan flavour is because my boy is a big fan of Pandan Chiffon Cake and in order to make him loves this steamed egg cake I decided to add in some pandan paste to enhance the flavour (cover up the egg taste) as well as visual effect. I have been using my microwave and built-in oven to help me with my daily food preparations for the past 10 years. And just recently, I received a new Samsung Smart Oven from Samsung that comes with Microwave, Convection, as well as Slim Fry features. On top of that, it also has a range of pre-set smart features such as sensor technology, high-quality cooking performance and a sleek aesthetic, all designed to provide convenience for busy households. This is Part III (Part I and Part II) of my chiffon cake recipe posts and I hope you still managed to follow and not getting bored with it. Although there are still quite a few chiffon cake recipes which I would like to try and share with you but I think I will just stop at this post and experiment the rest perhaps in the next few months or so. In this post, my favourite recipe is Matcha Azuki Chiffon Cake because it consists two of my favourite ingredients such as matcha and azuki bean. I love the unique matcha fragrance plus it blends well with the sweetness of the azuki bean. What about you? Any of your favourite is this post. After our breakfast at Chef Mickey, we do an express check-out together with our belongings and took the park shuttle bus to Disneyland Resort Station which is located near the entrance of Hong Kong Disneyland. From here we took the Disney themed train to Sunny Bay station to do a transfer to Hong Kong City for our Airport Express Check-in. Pezzo, a home-grown pizzeria chain with 13 convenient pizza-by-the-slice kiosks and 6 delivery stores around the island of Singapore. With its fresh new look of bright red and yellow Carnival-themed storefronts and custom designed delivery boxes, Pezzo hopes to create the same happiness for their customers through its pizzas too. And thanks to the folks of Pezzo, we get to try some of their new creations plus their Ho Ho Hola Hawaiian pizza which will be available for this festive season till 31 December 2013. The pizzas are Pezzo are freshly made with hand-stretched dough that topped with freshest quality of meat and vegetables together with different types of cheese to enhance the taste of each creations. Overall we were quite satisfy with the taste of the four flavours that we had tried but the crust was not very consistent (perhaps due to hand-stretched) as certain portions were relatively thicker than the other which we think there is still rooms for improvement. Below are some of our thoughts on each of the flavours that we had tried. From 14 - 17 November 2013, Singapore Navy's RSS Endurance 207 will dock at VivoCity Promenade for members of public (those who holds the balloting tickets) to visit and has a chance to be on board the navy’s fast craft utility too. Thanks to Kee Onn and Republic of Singapore Navy for the blogger's invite on the Navy@Vivo Preview Event as we get the opportunity to visit the galley (kitchen) to see how the Naval Chefs prepare food on board as well as the ship tour before public visits. Beside the ship visit, there is also an exhibition happening within VivoCity to showcase the Republic Singapore Navy (RSN) missions and operations. At the exhibition public also gets the chance to win some Navy's souvenir such key chains, ship caps, sticky and etc. Just some quick inform, RSS Endurance or Warship 207 was the first Singapore Landing Ship Tank (LST) to be deployed to the Gulf. It is 141 metres long which is equivalent to the size of 3 Olympic-sized swimming pools put together in length-wise and it is as deep as an eight storey block of flats with width of half a football field. Chef Mickey Restaurant is located in Disney's Hollywood Hotel which offers international cuisines like Chinese, Japanese, Western and etc. And on top of their spread there is also a Greet-And-Meet session with Chef Mickey during the most of the buffet sessions where kids, individual or families can grab a photo taking opportunity with him like what we did. After which we had a hearty breakfast spread which I will be sharing with you on this post. While searching for a good weekend dining deal from Hungry Go Where (HGW), I managed to find a great saving offer from the new Entertainer App (shown below) recommended through them. And with this paperless interface application that provides great saving deals, we had an enjoyable dinner at Bedrock Bar and Grill last Saturday. 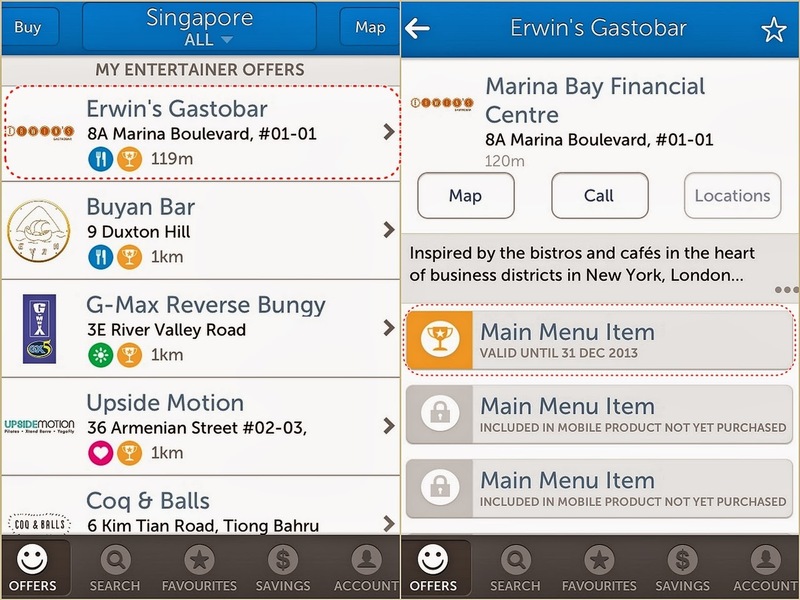 With the above if you are interested to find out more about this app you can refer to a detail walk though regarding this app after the Bedrock Bar And Grill review at the end of the post. After spending an enjoyable day at Disneyland Theme Park, we head back to Hong Kong Disneyland Hotel to have our dinner at Walt's Cafe (华特餐厅). It is a posh restaurant that furnished in 1950s themed with warm lighting, dark wood floor and furniture that brings you back to Victorian era. And if you prefer to have early dinners with beautiful sunset as backdrop do remember to make your reservation earlier in order to secure a good seat for viewing pleasure. A lovely slice of butter cake always makes great company for afternoon tea with friends or loved one. And at time when berries are in season I will also add in a handful of it together with some lemon zest to enhance the flavour too. Or when I am run off of berries then either Matcha or Cocoa Powder will be another great alternative to make different flavour of butter cake depending on what we are craving for. Weekend is just less than an hour from now and here I am sharing 3 hearty one pot dish recipes which you might be interested to take a look. 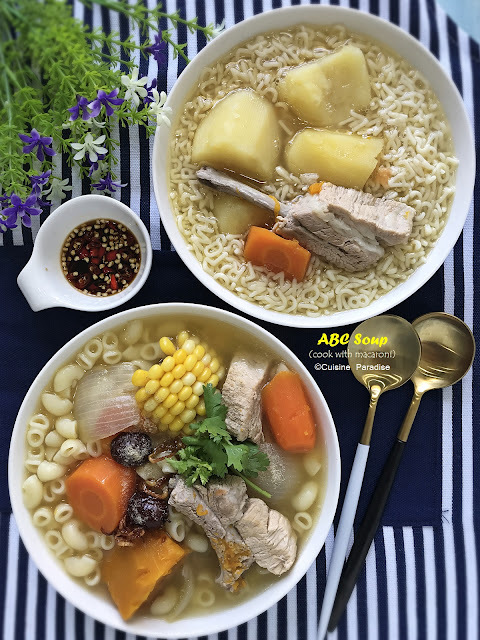 These are our all-time favourite dish and I hope it can help to give you some ideas while preparing a quick meal for your family during weekend or busy weekday nights. Moreover if you read through the recipe(s) the ingredients are pretty straight forward and I am sure you have most of them in your pantry to get you started with the dish too. I love Claypot Rice especially the burnt bottom of the rice which is crispy and flavorsome (but however it is very heaty to eat those) and I have also made a few version of claypot rice even with one using Happy Call Pan (recipe). The main ingredients are chicken pieces or chicken fillet seasoned with dark soy sauce plus preserved sausage and salted fish. Although we can make decent taste of claypot rice at home but it never beats those cooked using charcoal stove which gives it a better flavour.